Looking for cheap watches on the internet? Better think twice before making that purchase. 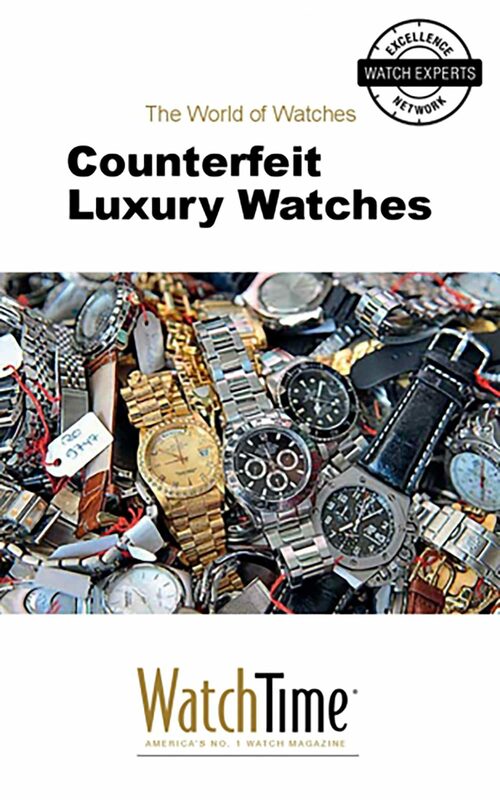 In this e-book, we explore how sales of these counterfeit watches are hurting both collectors and the watch industry. For some watch collectors, the temptation is just too much. "I have seen quite respectable watch collectors with nice collections who couldn't get their hands on that one limited-edition piece that they wanted," says Beatrice de Quervain, a veteran U.S. watch executive and most recently head of Hublot North America. "They always buy from their authorized dealer, but then, just for that one piece, they broke down and went to an unauthorized source on the Internet. And sure enough, they got burned. They paid $20,000, $25,000." What they got, de Quervain says, was a counterfeit.